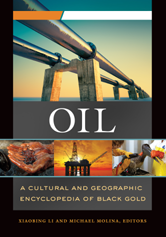 This encyclopedia provides entries on the fundamentals of the oil industry and profiles of the countries that play a major role in oil production and consumption.Volume 1 presents topical entries on critical concepts, key terms, major oil spills and disasters, and important organizations and individuals relating to the oil industry. Entries define terms such as "barrel" and "reserve," cover incidents such as the BP oil spill, and explain the significance of organizations such as OPEC. The second volume spotlights specific countries that are major producers, consumers, exporters, and importers of oil, from the United States to Russia to Saudi Arabia to Venezuela.